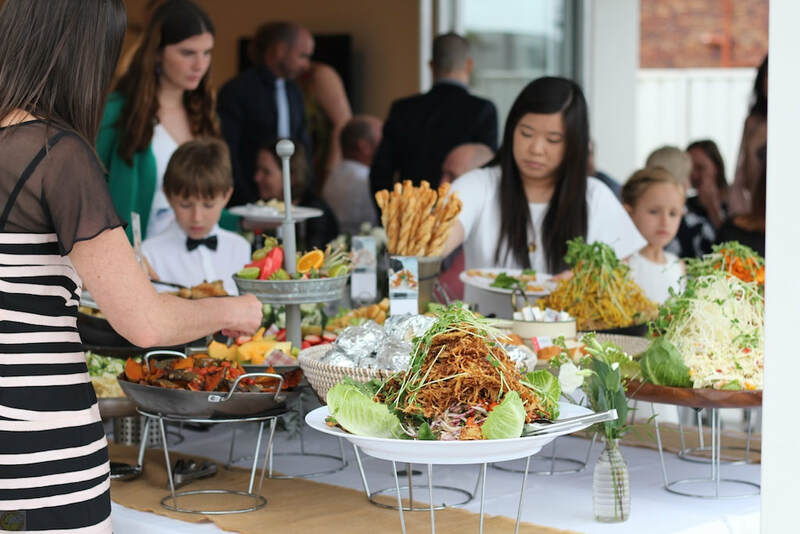 Professional Value for money Family run Spit Roast Catering for Weddings, Corporate Events and Christmas Parties on the Sunshine Coast, Noosa Hinterland, Gympie, Brisbane, Nambour and surrounds. Our Spit Roast Catering provides quality catering that is beautifully presented at a cost effective price. We pride ourselves on buffets that are designed to offer choice for you and your guests. You are welcome to create a menu specifically for you and your guests to suit your function. Select from our freshly made salads, tender roasted meats, fresh vegetables, breads and fruit platter. All salads are made fresh for each function using homemade dressings. We work with you to provide quality catering, on time, every time. If you have any questions feel free to contact us with your function details. Looking for Finger Foods or a selection of desserts to compliment your Spit Roast Catering, we can provide a range of options to provide a complete catering package. View our gallery page to view recent photos of buffets and to see the style, quality and presentation of our catering.